Moms who breastfeed have all been in this scenario. Where have you had to pump or nurse your baby that you said you will never do it again. For me, it was the bathroom. Now I’m stuck in a situation at work. No matter what, I will continue pumping at work. This will not stop me! This time, self-soothing and how it seems to work…and we’re talking birth order and how it impacts child development. Oh, and Happy New Year! We’re still fixated on holiday budgets. Gifts are more expensive these days, and we chat about food and holiday family traditions. Merry Christmas from the SD Moms! 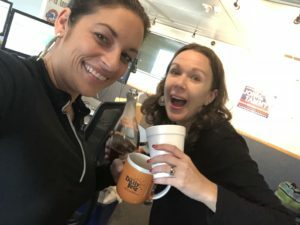 SD Moms Podcast: Holiday Budgets, Can Amber Call Herself a Single Mom? This week, we hear that Amber went to Disneyland … and didn’t the kids.